I Won't Complain about Winter. I Won't! I Won't! As you may have picked up on, I'm working on writing a book. It's slow going. I've set myself the paultry goal of a thousand words a day, but I'm not quite reaching it. Part of the reason it's been rough going these last few weeks have been the repeated school delays and closings. It's tough to get a lot done when you suddenly find yourself in charge of childcare all day. Even though I don't have to go anywhere, the winter weather has a way of reaching in and disrupting my plans. Fortunately, the same kid who's keeping me away from my writing is also giving me a sense of perspective. I can remember those nights of vibrating anticipation, hoping for a snow day. Even though Mrs 'Struction and I get twitter updates from the school, we keep them secret, preserving the tradition of watching the scrolling school listings on TV, breathlessly waiting to see yours go by. I can remember the excitement of a fresh batch of snow. The white fluffy stuff meant fun activities like sledding, skiing, snowshoeing, snowball fights, and building snowmen and forts. 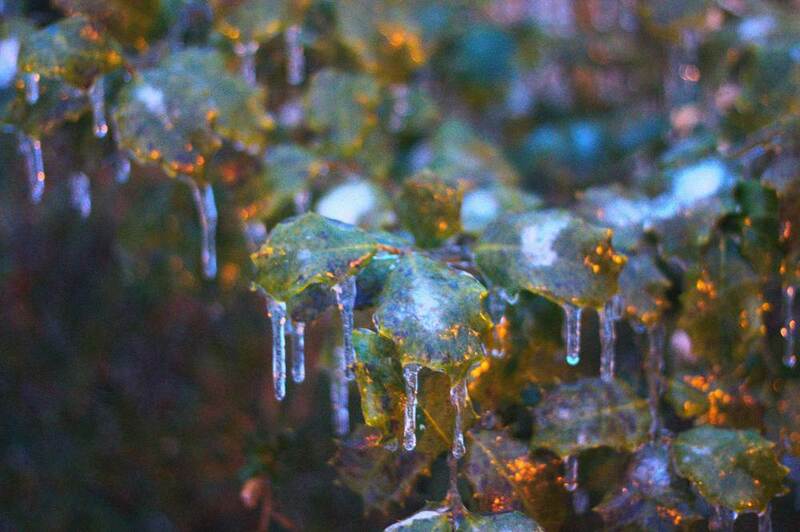 I can remember the beauty of a world turned magically sparkly by a layer of ice on every twig. I can remember the strange silence, when the snow in the air removed all the sound of human industry and left only the gentle hiss of millions of flakes landing. Then I started to see some downsides. The adults around me, and even some of my friends, started to complain about winter. The cold meant it took longer to get dressed before you went out. Looking fashionable was pretty much out of the question. The unpredictable nature of the weather meant plans often had to be adusted when the roads became treacherous. I can't tell you the exact date, but there was a specific point when I made a promise to myself. I wasn't going to be like that. Winter is beautiful. Winter is fun. I wasn’t going to be so self centered as to lose those positive feelings just because winter could also be inconvenient to my plans. I would preserve my sense of wonder. I would stay flexible. We’re accustomed to being ruled by the clock and the calendar in our society. It’s a failing our part when we forget that we must sometimes also bow to a less predictable monarch, mother nature. We need to be flexible. It’s not always easy. My unnatural fondness for predictability and structure was challenged in February when we didn’t have a single “normal” week, free of holidays or snow cancellations. My productivity is suffering, but I’m not going to complain. I’m not. I’m not. The writing can wait. I’ll catch up in spring. The day will come all too soon when the little guy isn’t so excited to spend a day with Dad. I might be falling behind on the arbitrary goals I set for myself, but I’m also being given a gift that I’d be a fool not to enjoy. Spring will be here soon enough. In the mean time, here are some picture the little guy took while I was using a hoe to scrape the ice off the walkways.